Winner of the Pulitzer Prize and the National Book Award, this novel about a resilient and courageous woman has become a Broadway show and a cultural phenomenon. Celie has grown up poor in rural Georgia, despised by the society around her and abused by her own family. She strives to protect her sister, Nettie, from a similar fate, and while Nettie escapes to a new life as a missionary in Africa, Celie is left behind without her best friend and confidante, married off to an older suitor, and sentenced to a life alone with a harsh and brutal husband. In an attempt to transcend a life that often seems too much to bear, Celie begins writing letters directly to God. The letters, spanning twenty years, record a journey of self-discovery and empowerment guided by the light of a few strong women. She meets Shug Avery, her husband's mistress and a jazz singer with a zest for life, and her stepson's wife, Sophia, who challenges her to fight for independence. And though the many letters from Celie's sister are hidden by her husband, Nettie's unwavering support will prove to be the most breathtaking of all. The Color Purple has sold more than five million copies, inspired an Academy Award–nominated film starring Oprah Winfrey and directed by Steven Spielberg, and been adapted into a Tony-nominated Broadway musical. 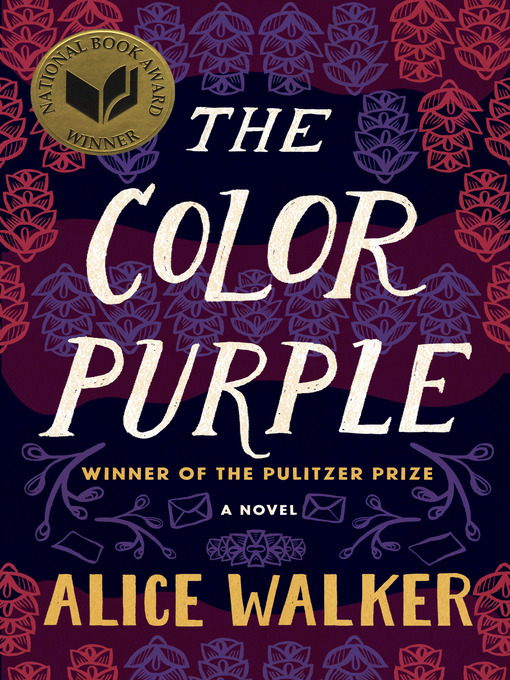 Lauded as a literary masterpiece, this is the groundbreaking novel that placed Walker "in the company of Faulkner" (The Nation), and remains a wrenching—yet intensely uplifting—experience for new generations of readers. This ebook features a new introduction written by the author on the twenty-fifth anniversary of publication, and an illustrated biography of Alice Walker including rare photos from the author's personal collection.